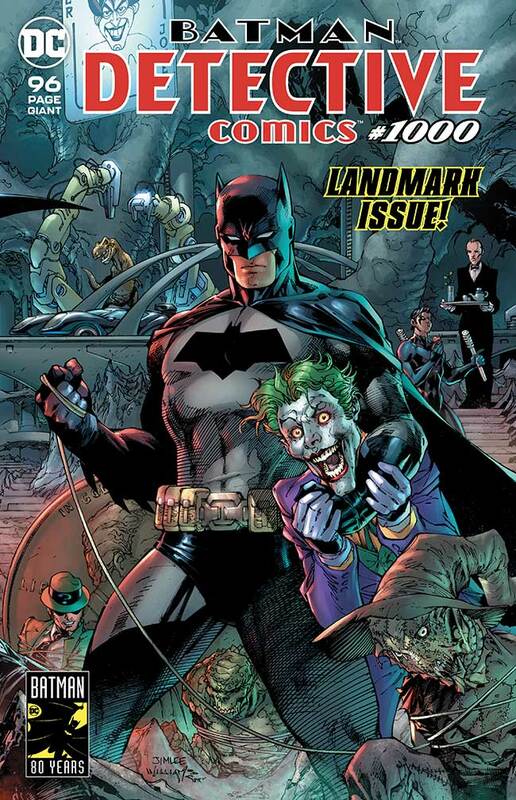 SOLICITATION: After 80 years, it’s here-the 1,000th issue of DETECTIVE COMICS, the title that literally defines DC! 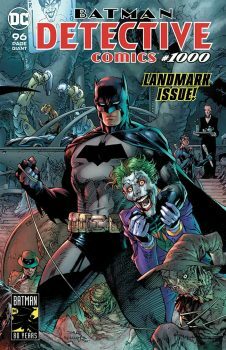 This 96-page issue is stacked with an unbelievable lineup of talent that will take you on a journey through Batman’s past, present and future…plus a sensational epilogue that features the first-ever DC Universe appearance of the deadly Arkham Knight! But who is under the mask? And why do they want Batman dead? The incredible future of Batman adventures begins here! STEPHEN: Hey, hey! It is a milestone for Batman, Detective Comics, and DC! Yes, the cover price is a bit steep, but so looking forward to seeing how DC celebrates the second longest running comic around! 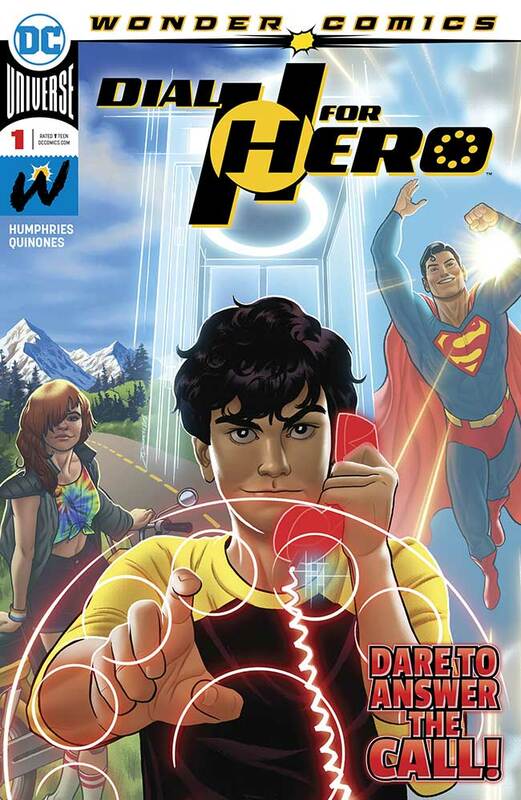 SOLICITATION: Miguel, a teen daredevil, becomes the newest wielder of the Hero Dial-a rotary phone-like device that grants the user superpowers for one hour when they dial H-E-R-O. Will he rise as a new hero in the DC Universe or crumble under the weight of responsibility the dial thrusts upon him? This blistering new six-issue miniseries joins the Wonder Comics lineup with stories by award-winning fan favorite Sam Humphries (HARLEY QUINN) and art by Joe Quinones (Howard the Duck). INGRID: I love the concept of the Hero Dial, and this just looks like it could be a whole lot of fun. MATTHEW: This book may be written for me! I’m hoping that it ends up being a great new era of Dial H, but I’ll settle for just a decent story. 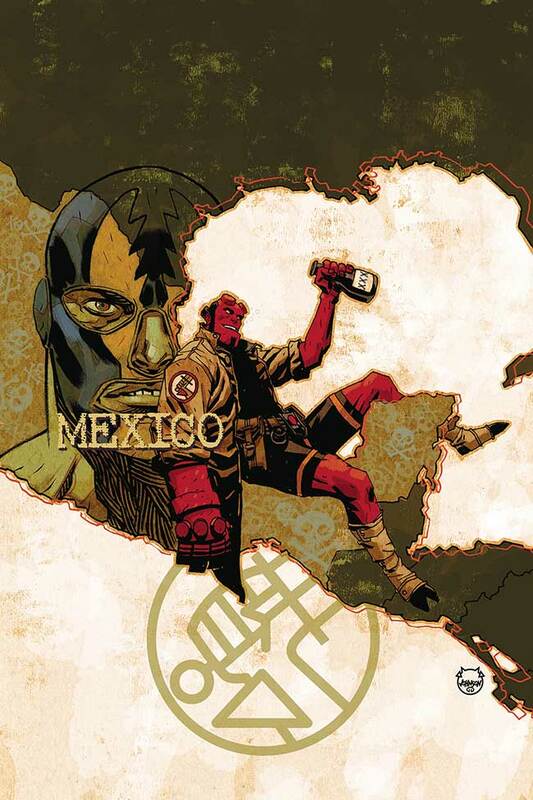 SOLICITATION: Mexico has not been kind to Hellboy, but can the B.P.R.D. convince him to return to headquarters and the painful reunion that awaits him there? Meanwhile, Bruttenholm is confronted with the truth about himself and the future of the Bureau. Three Hellboy and the B.P.R.D. 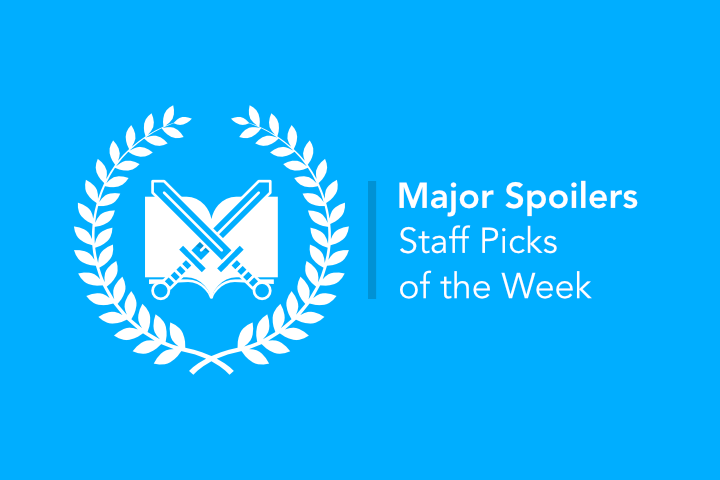 storylines interwoven into an espionage saga! Paranormal adventure meets international intrigue! STEPHEN: The conclusion to Hellboy’s time in Mexica is finally here. Anytime we get new Hellboy stories is a good time for sure, and worth checking out. SOLICITATION: With the powers of GIRL and the powers of SQUIRREL on their side, Kamala Khan and Doreen Green are an unbeatable team! But that title is about to be seriously challenged – because New Jersey has been invaded by a swarm of knights in shining…suits?! Driving cars armed with javelins?! Uh-oh. 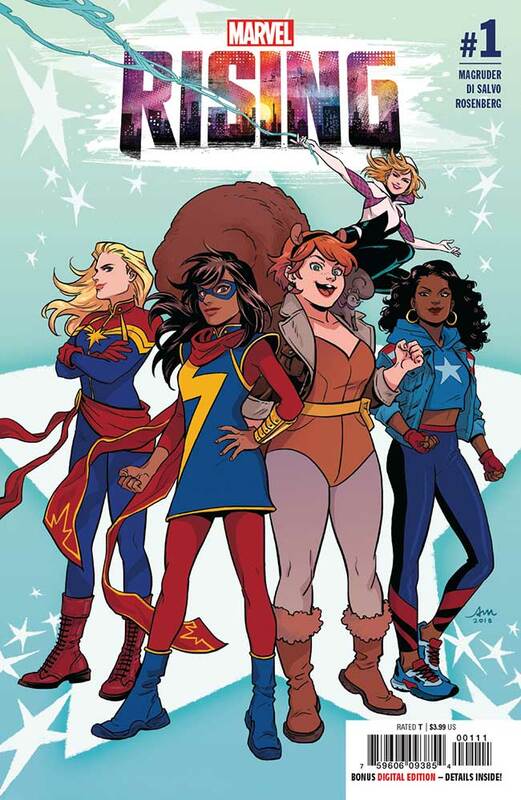 Kamala and Doreen are gonna need allies to help protect their home turf – and they know just who to call. MATTHEW: I’m telling you, Marvel: Just team these heroes up regularly and be done with it, they’re some of the best of your arsenal. SOLICITATION: As the death of this entire new universe draws near, each Ranger will be faced with a terrible choice-and one Ranger may be forced to betray everything they believe in. 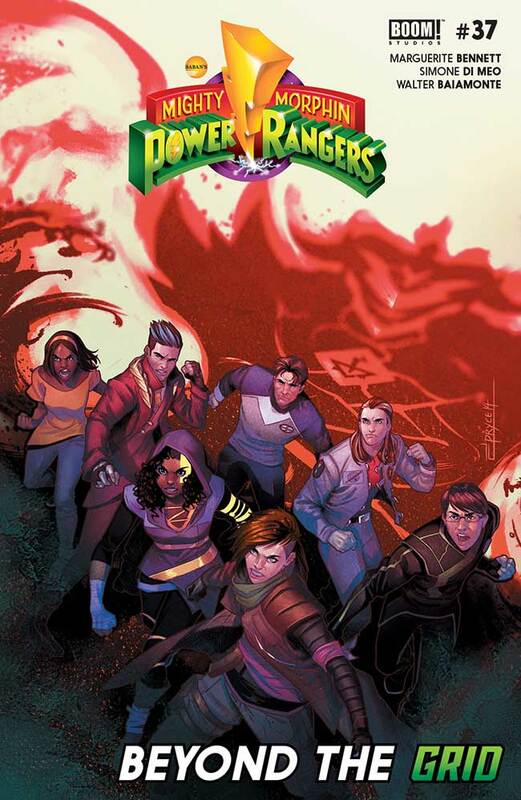 MATTHEW: Seven Rangers from seven different eras unite to fight against the end of the world? 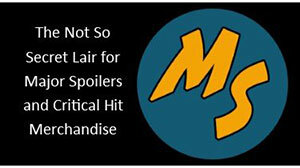 New revelations and connections throughout the Power Rangers mythos? Great art and weird characters? 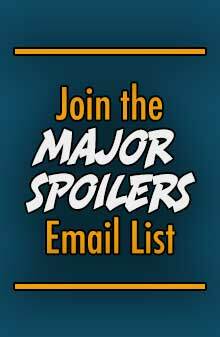 SOLICITATION: BRAND NEW SERIES! Sabrina is a teen witch who’s struggling with balancing the double life of high school and her burgeoning powers. Newly relocated to Greendale with her aunts Hilda and Zelda (also witches), Sabrina is trying to make the best of being the new girl in town which so far includes two intriguing love interests, an instant rivalry, a couple of misfits that could turn into BFFs, and trying to save the high school (and maybe the world) from crazy supernatural events. NBD! 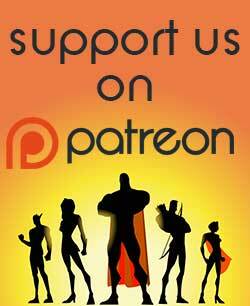 ASHLEY: Honestly, a perfect blend of the classic Sabrina we know from the comics and the Chilling Adventures update with a darker tone. I loved this. Practically perfect in every way. Fans of Sabrina in any form will dig this. 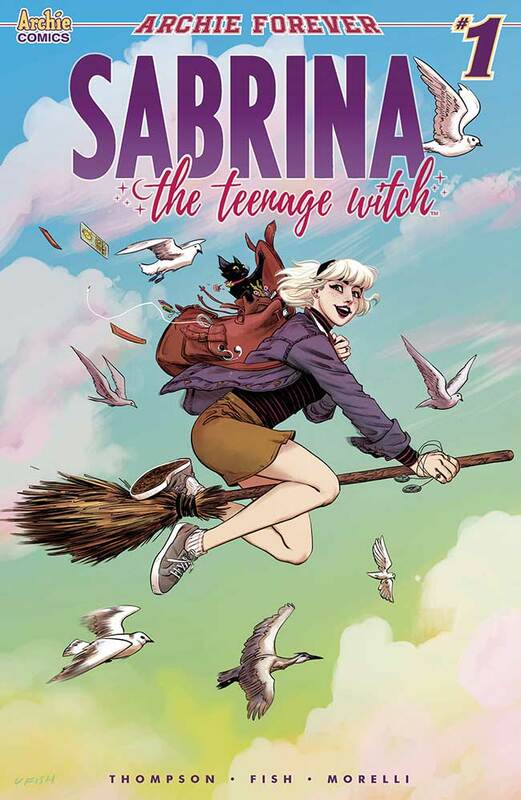 INGRID: Archie Comics has been doing some terrific reboots, and now it’s Sabrina’s turn! I’ve always loved Sabrina, and I am truly excited to see her in action again.